Game Theory The E3 2015 press conferences have been and gone, leaving us to consider what to make of the gameplay and teaser footage shown-off by Microsoft, Sony, Nintendo, EA, Ubisoft, Bethesda and Square Enix. Which devs had us out of our seats and which were faced with an awkward silence? Bethesda's press conference might have come first, but it failed to make the biggest impression. 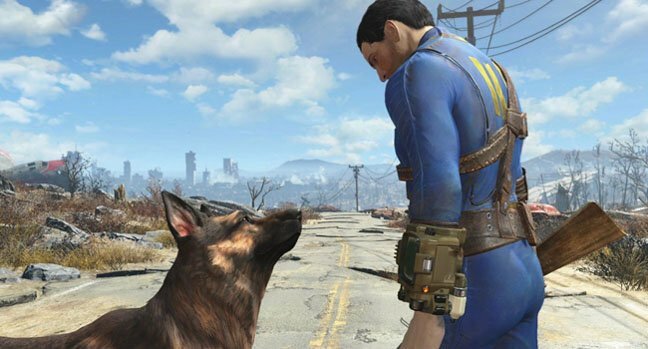 Like so much leaked plutonium we'd already seen Fallout 4 (though its 10 November 2015 release is welcome news). While Dishonored 2 had been all-but unveiled in the hours before the show started courtesy of a gaff during a dress rehearsal. Doom 4 we already knew existed too, leaving a card-battling Elder Scrolls game and Fallout Shelter for mobiles as the truly new titles. Was all this worth the expense that comes with putting on an E3 press event? I'm not convinced. Whether it's the relative rarity of a Fallout game or that the series is a lot more loved than I ever thought, there was no doubting what the E3 attendee's favourite was. Whooping and hollering greeted every moment of the Fallout 4 reveal trailer. From the character customisation screen (a man or woman looking into a mirror), to confirmation that the VATS aiming system returns, to the announcement of a special edition complete with working Pip-Boy armband, it was all too much for some to take in. 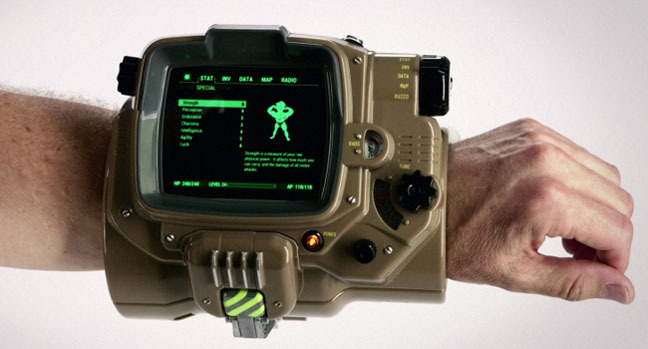 Who needs an Apple Watch when you can have the Pip-Boy armband? 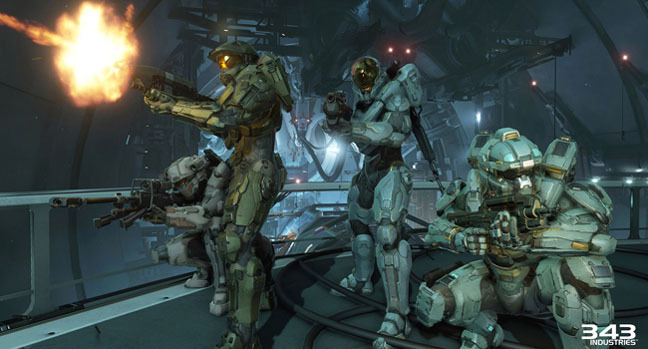 The perfectly manicured Halo 5 four-player co-op footage showed exactly how the game will never be played. Think that all those perfectly scripted moments will happen like that when you play with a bunch of strangers? Think again. Still, glimpse at the Warzone mode looked encouraging enough, showing 24 player battlefields where players take on other humans and AI controlled enemies alike. Arguably the most far-reaching announcement this E3 was that of Xbox One backward compatibility coming in a Q4 update. Not only is it a powerful persuader for anyone looking to upgrade from a 360, but is also a way for Xbox One owners to go back and play that one game from the last gen they missed. That it's free – assuming you own the game on 360 – is a direct shot at Sony's PS Now streaming service. And the fact you can use the Xbox One's ability to broadcast over Twitch and to take screenshots is no bad thing either. The only question that remains is to see how the move affects sales of the raft of remasters coming our way, starting with Gears of War: Ultimate Edition. One of the weakest press conferences was that of Electronic Arts. The briefest tease of Mass Effect: Andromeda was followed by ceaseless wittering about Plants vs Zombies and 'mobul' (say it with a US accent) games. Then it was the turn of Pelé to be wheeled out to mortifyingly mumble his way through a joke about taking penalties, say "FIFA is great", before presumably picking up a rather large cheque. 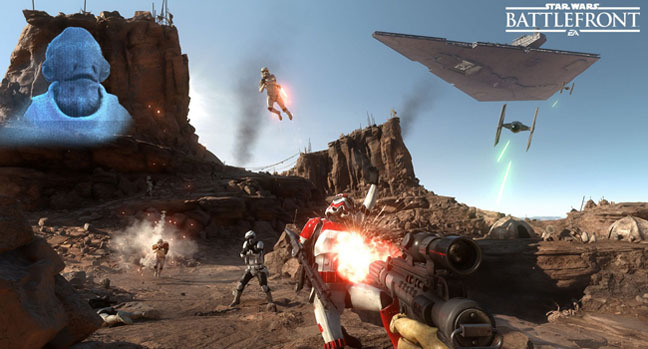 However, all was made marginally better by the encouragingly gun-free Mirror's Edge: Catalyst and, finally, the Hoth gameplay footage from Star Wars: Battlefront. I've already told the missus she'll not see me again when the 17th November rolls around and Luke Skywalker comes knocking. Microsoft has been paying Call of Duty lip service for so long that it feels almost wrong to write about Activision's unwaveringly annual shooter having jumped ship to PlayStation. Not that it's a console exclusive of course, but that passing of the CoD baton – starting with Black Ops 3 – paves the way for Sony to own sales of the Xmas stocking filler. Could this be checkmate in the current gen console wars for Sony?